The 38th in this occasional series of reprints from Quote Unquote the magazine is again from the August 1993 issue. The illustrations are by Chris Mousdale. I’ve had to reconfigure the text design slightly for clarity but the content is the same as the print version. Sports writing in New Zealand causes a very similar reaction to sport itself – discuss it seriously and the fur may fly. A national disgrace, says one. Not really all that scruffy, another thinks. Doesn’t exist at all, according to someone else. With a little more effort and independence of thought, it’s agreed that our sports writers could do better. But, wondered Tim Wilson, could they do any worse? And if so, would anyone notice? Over two weeks I scanned the sports pages of 20 New Zealand daily newspapers, from the reed-slim Oamaru Mail to the lumbering New Zealand Herald. I discovered games of two halves; games in which a win was a win. I witnessed huge men making big kicks; pitches invaded by articulated lorries and minis; disasters of biblical proportion. I heard the snap of tendons and the scream of metaphors being treated, well, unsportingly. Thumbs black with newsprint, I returned clutching five clippings that I thought weren’t especially good. Actually, I thought some of them stank. But because I didn’t want to go out on a limb I obscured the writer’s names and organs, and sent the clip­pings to people who might. All is now revealed, gentle reader, as our judges discuss sports writing in general, and give their picks on the florid, the bad and the lazy. Massey wrote, in letters of gold, one of their proudest results on their battle flag when they defeated Takapuna, 18-14, in the North Harbour club rugby championship on Saturday, keeping Massey as the only unbeaten side in the competition. 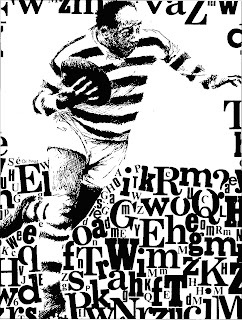 They also wrote, in letters jittery enough to suggest approaching cardiac arrest, another chapter or two in their own special book – “How to Play Heart-in-the-Mouth Rugby” with the subtitle “Winning Footy in the Valium Valley”. D.J. Cameron, New Zealand Herald, 14 June. At stake, perhaps, is the job of every hack in the country. But isn’t part of sport’s appeal its abstraction, that it is something idealised like, say, ballet with a winner? He disagrees. Soccer was both a winner and a loser at Centennial Park, Ngaruawahia, yesterday. Competition favourite Waitakere City bundled DB Draught Ngaruawahia out of the Chatham Cup with a classy 5-0 win. But to the irritation of Waitakere officials, their vintage showing was all but snubbed in the Ngaruawahia clubrooms afterwards, as delayed telecast of the rugby league test took centre stage. Bruce Holloway, Waikato Times, 21 June. It was a game of two halves – both were full of errors and boring, but the second had a nice touch at the end. Saturday’s first test between the British Lions and the All Blacks at Lancaster Park was lifeless. The only thing which made the game absorbing – but still not exciting – was the closeness of the scores. Ironically, a skydiving display before the game gave every indication that the goal kickers would struggle. It’s now history that 33 of the 38 points scored were from penalty goals. Two of the skydivers made it on to the field while a third landed in the dead ball area after coming perilously close to decapitating several spectators. Angus Morrison, Southland Times, 14 June. Secure proper writers, then, and you will have sports writing proper? Phil Gifford isn’t so sure. “You know Lloyd’s book?” he asks. 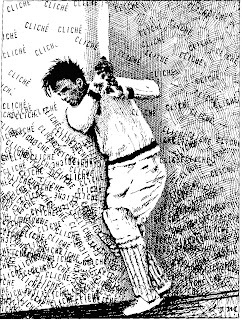 One opinion holds that those who really knew sport (through participation, for example) produced tauter, better pieces than the wheezing literati. Only those who play may know. True enough, perhaps, in the case of Jones’ book, but it’s a notion with nasty implications. Had Sophocles, for example, adopted it while writing Oedipus Rex, how well would he have treated his Mum and Dad? He’s right. Jones and Robinson have worked on newspapers. Neither disparages them. Gifford toiled at the Auckland Star and the Herald for 15 years. All three men have written for magazines such as Metro, North & South and the Listener, and enjoyed the luxury of increased time and space. As I watched Horouta come from 9-0 down to beat a side tipped to be among the front runners, I couldn’t help thinking of a car event between an articulated truck and a bunch of souped-up minis. The truck (Ngatapa) had power and height up front and a lively back division, capable of causing concern. Unfortunately for the Green and White supporters, their side played as though they were running on reserve and without a driver. John Hill, Gisborne Herald, 21 June. Turner says what he thinks. He wishes sports journalists would too. Perhaps journalists are cowardly. Well, clubs, administrators and codes can also be prickly. The Herald came very close to being banned from the dressing rooms of the national league side during the Australian tour. Their crime? Not saying nice things about the lads. In the end the paper wasn’t banned. Coverage grew more, shall we say, sensitive. “Superkiwis Turn on a Stunner”, the Herald enthused after the first test draw. 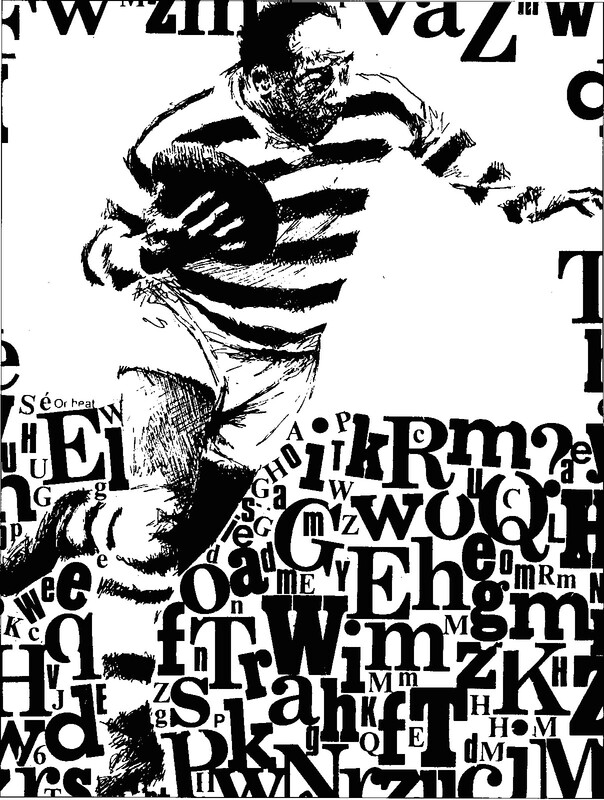 When the North Harbour Rugby Union was born the knockers on the southern shores of the Auckland Harbour Bridge predicted the first division clubs, North Shore, Takapuna, Northcote and East Coast Bays, would thrive. The minnows, it was said . 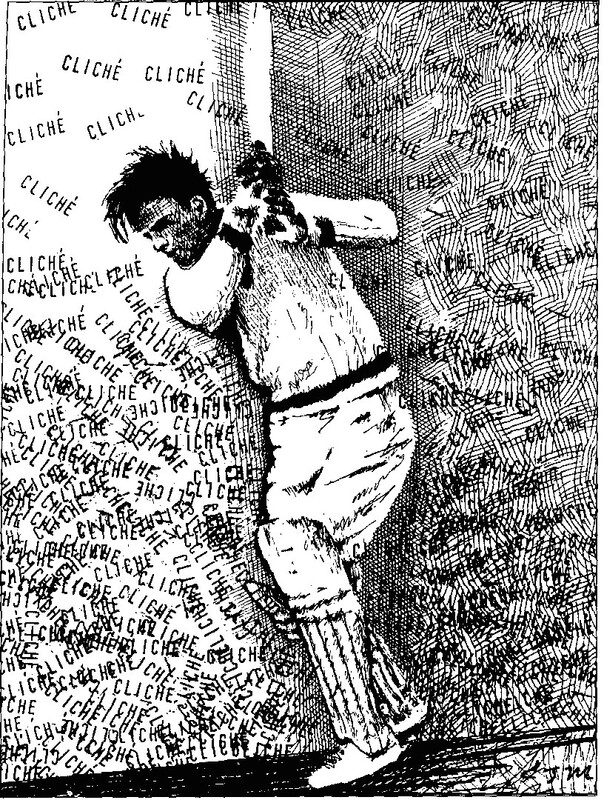 . . would, in the face of cricket score losses, slowly curl up and die. The small fry, however, were made of stern stuff. Pride, giant-sized hearts and club spirit were winning ingredients. Now, into the ninth season of Harbour rugby, the one-time min­nows, developed into fully fledged man-eaters, are respected by all. J.A. Gasparich, New Zealand Herald, 19 June. Now to pick the prize specimen of lousy sports writing. The result? Not exactly a knockout. Robinson asked to be excused – he was going overseas. Jones and Turner hold similar views on how sport should be written about, yet both selected different’ pieces. “Muscled Minnows” turned Turner’s stomach, while Jones found that D.J. Cameron’s Herald piece on “Heart­-stopping Massey” caused his own heart to miss a beat. Both agreed that Waikato Times writer Bruce Holloway’s tale in which soccer was the winner and the loser had merit. “It tells a bit of a story,” Turner said, while Jones enjoyed the “self-conscious use of cliche” at the beginning. Gifford spoiled everything. He didn’t believe that particular cliche was self-conscious, nor did he believe the collection of extracts was especially execrable, merely mediocre. Top three for him were the first three. The remaining two didn’t strike him either way. Winning teams, as the cliche goes, are those which put the most points on the board. Accordingly, we made a decision based on points. The envelope, please. How apt that the winning worst piece included references to writing; writing on battle flags, writing chapters, writing autobiographies, writing arias for rugby operas. D.J. Cameron of the New Zealand Herald, take a bow. This is unfortunate, because Cameron has written some fine pieces on cricket. The moral then? Even the best can have a very bad day indeed.